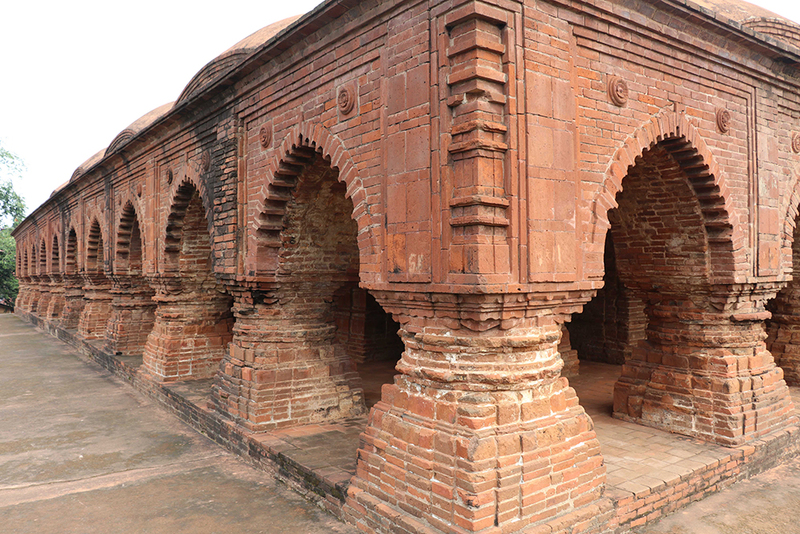 Rasmancha is an important monument in the Vaishnavite tradition. Idols from various nearby temples were brought here and Ras carnival was celebrated. The square platform is about 24.5 Meters in length and the temple is about 10.7 meters in height. 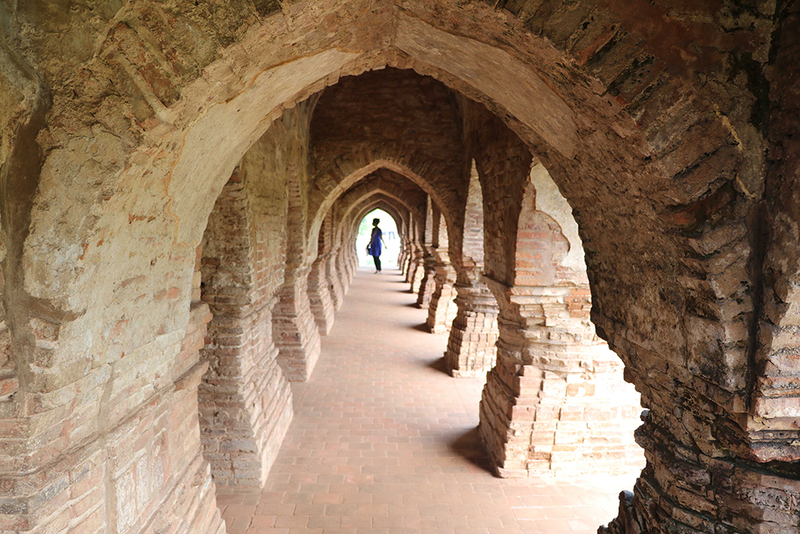 Beautiful arches and columns in terracotta create 3 ambulatory paths around the sanctum sanctorum. 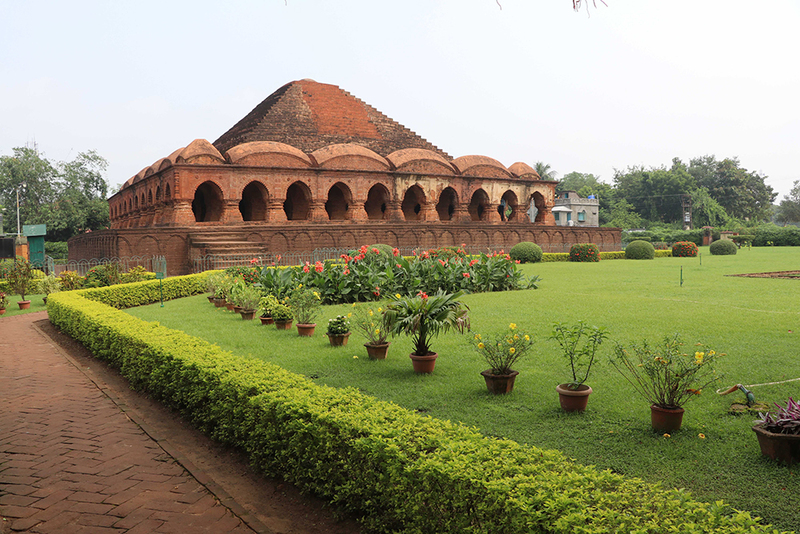 Here we can see laterite as well as terracotta being used in unison. 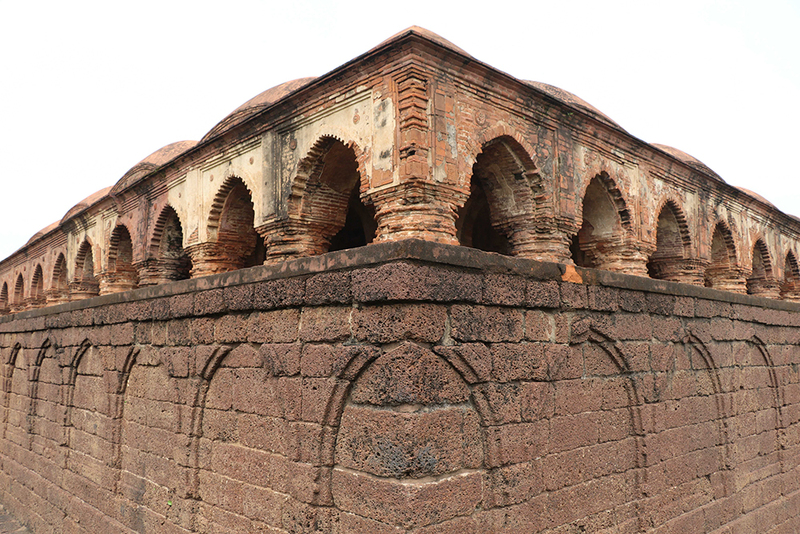 Lotus motifs on arches and hut shaped turrets.